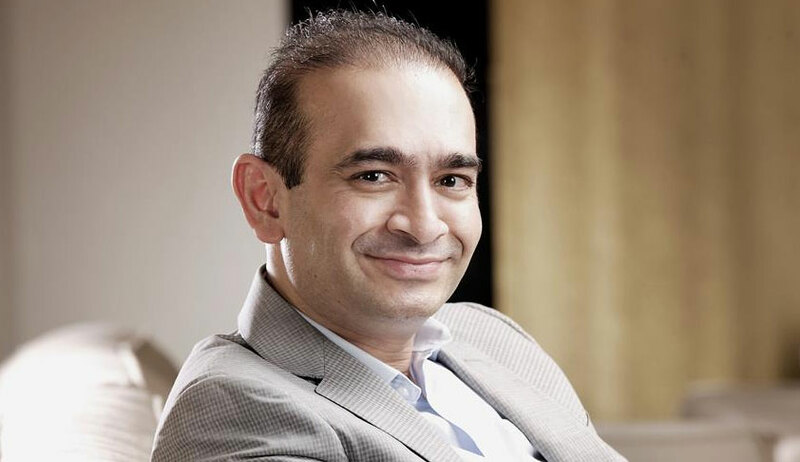 The Supreme Court today deferred the hearing of a PIL seeking a SIT probe and billionaire jeweller Nirav Modi's deportation in the over Rs 11,000 crore PNB fraud case to March 16 to hear Attorney General K K Venugopal in detail after he said he was objecting the petition. In person Vineet Dhanda for questioning "how the AG can say he is opposing" and for insisting on the issuance of notice to Centre. Bench of Chief Justice Dipak Misra and Justices A M Khanwilkar and D Y Chandrachud also repeated several times that it was clear that it was a "publicity interest litigation" and the petitioner was "playing to the gallery"
AG: I am appearing for the Union Of India.We are opposing the petition.There is no need of intervention at this stage.This is a case in which FIRs have been filed, the investigation is on. Petitioner and lawyer Vineet Dhanda: What does the AG mean by saying he is opposing? They should be answerable, The rich are escaping with money..a small man is hounded by hauling him up till death..Let him at least argue on issues. Notice may be issued.Kindly see the morale of the customers. This involved interest of the entire country. CJI Misra: We are not here to hear speeches. Justice DY Chandrachud: It has become a fashion..you see something in the newspaper and then come and file a PIL. Justice Khanwilkar: Please.. you can make legal arguments and do not make emotional arguments. CJI: AG says he is opposing the petition on merits. Shouldn't we give him an opportunity to explain? Is investigation ordered in a day? These kinds of arguments..wholly emotional..you mean to say we must not hear the AG? CJI: you are trying to stop the AG..you mean to say that. Petitioner Dhanda: What publicity? Lordship is insulting me.I have been practicing in this court for 16 years. Justice Chandrachud: I maintain it's a publicity interest litigation. Look, we must allow the government to investigate..if the government does not do, we can intervene.We cannot intervene like this..These are all PILs which plays for the gallery. Justice Khanwilkar: Mr.Dhanda, you are petitioner in person..how are you in advocate robes? If not, you must have come through an AOR. You say you have been practicing here for 16 years. You must at least know the rules. Dhanda: My father J P Dhanda appears normally. He is not well. J P Dhanda suddenly comes from behind and also insists on notice. CJI Misra proceeds to dictate order adjourning case to March 15 to hear the Attorney General. The bench had yesterday considered lawyer J P Dhanda's submission that the scam was of an enormous magnitude and the plea be listed for urgent hearing. The plea has asked for a special investigation team (SIT) to probe the banking fraud, allegedly involving billionaire jewellers Nirav Modi and Mehul Choksi. "Issue an appropriate writ, order or direction directing the Finance Ministry and the RBI to frame guidelines in granting of the loan of the 10 Crores and above to ensure safety and recovery of such loans," the PIL said. It has also sought the setting up of an experts body to deal with cases of bad banking debts in the country. Besides, the petition wants framing of rules for the recovery of loans from the defaulters within a stipulated period, even by attaching their properties and auctioning them in the open market.In his PIL. Dhanda also has asked for a direction to fasten liabilities on the employees of a bank for sanctioning loans on the basis of deficient documents and said loans should also be recovered by attaching the properties of such bank officials even after their retirement.